I'm missing Encrypt and Sign buttons on my Mail app. 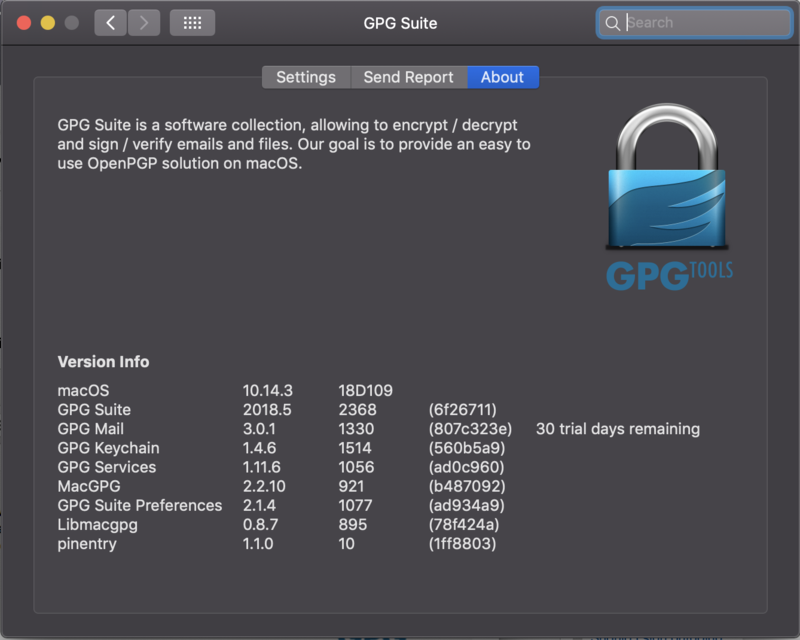 Just did uninstall and install of GPG Keychain. It was working before Mohave update. Thanks to Steve I found that in my Mail app I have configured different username (email) than the email in my keypair. I added an alias to my keypair and now everything works. Oh that's great and indeed a different cause. For your keys to be recognised correctly by GPG Mail it is important to double check that the email used in the key does perfectly match the email used in Mail > Preferences > Accounts. In this case capital letters do matter. So unless that information is perfectly correct GPG Mail will not show it's UI when you create a new draft. Glad you were able to figure this out. I'm closing this discussion. Should you need further assistance or have questions you can re-open this discussion here or open a new one any time. Steve closed this discussion on 27 Feb, 2019 08:19 AM.